This is an example of damage that can occur during storms. 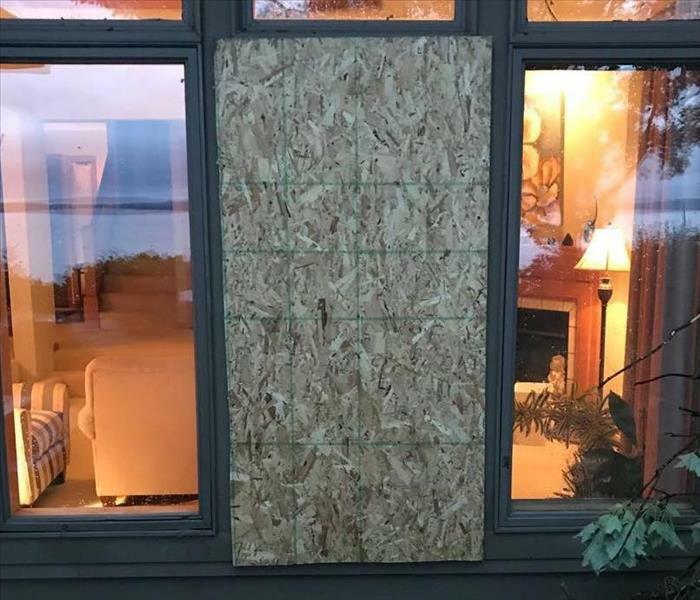 This home had a large tree branch fall during a storm hitting their window and shattering the window in the middle of the night. Are crew was dispatched out to the home to secure the home and to clean up the shattered glass. 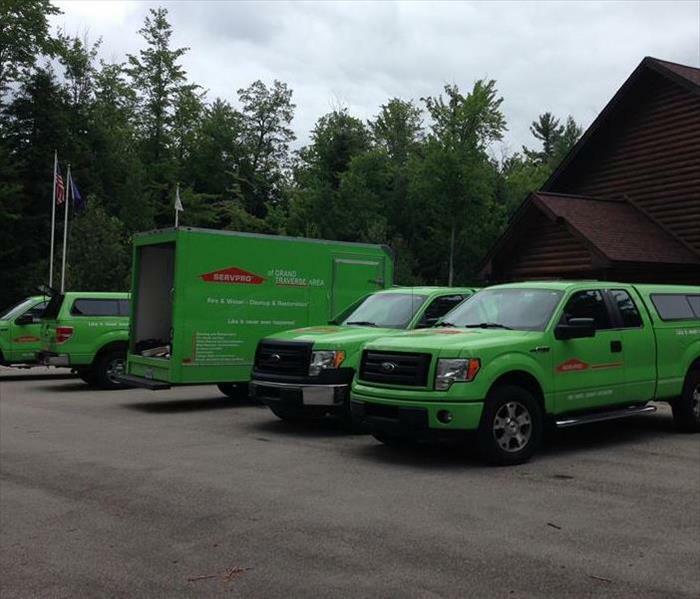 Here is a photo of SERVPRO of Grand Traverse Area responding to a commercial water damage in Traverse City. The building had the water main break and flooding the entire main floor of the building. The standing water affected about 5,000 square feet. With our quick response we were able to restore verses replace!